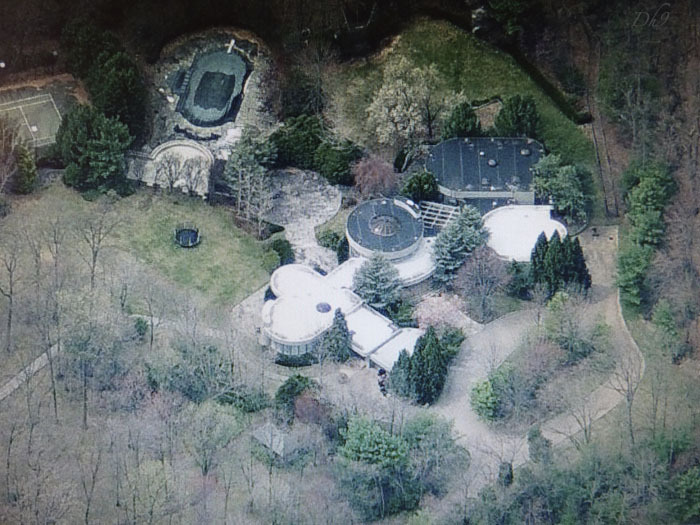 A friend recently sent me a post about Whitney Houston’s home in New Jersey being for sale. 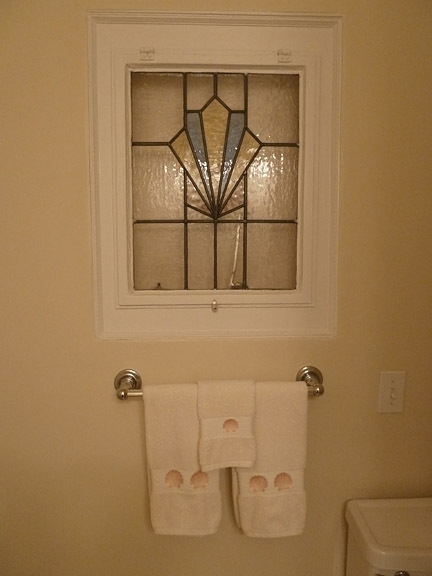 I looked at the photos and had my usual REALTOR® curiosity about the house. 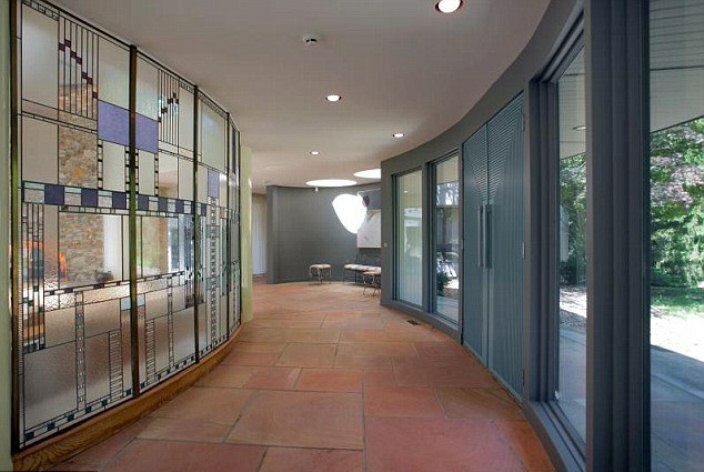 I loved this stained-glass wall that appears to separate the foyer from the living room. The color and “movement” of the design reminds me of music–quite appropriate for the amazing musical talent that Whitney was. 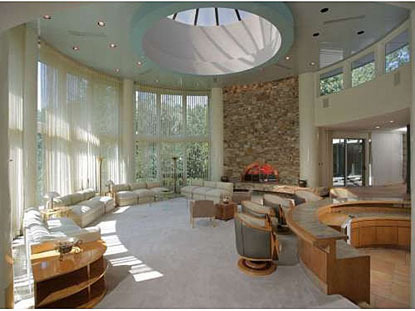 Here’s a photo of what appears to be the living room, complete with circular skylight (wow!) and a curving wall of windows. Note also the clerestory to the right along the upper wall. The natural light in this space must be splendid. The property reportedly has just over five acres of land. Here’s a view of the grounds. There are many trees, offering both beauty and tranquility. 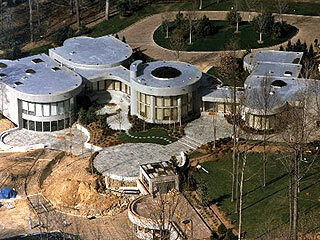 No doubt Whitney enjoyed many wonderful moments at this home and in her life despite her struggles. 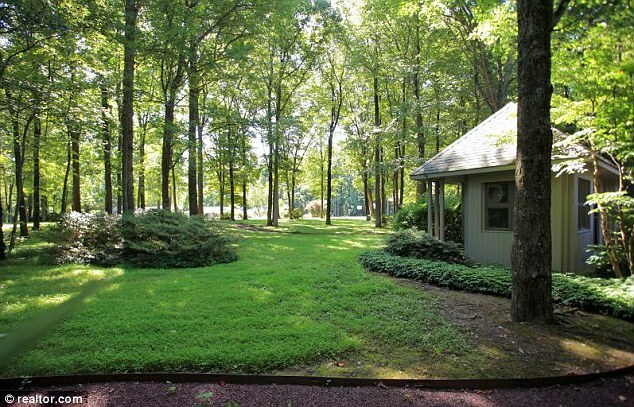 Her modern home is said to be quite different from the other homes in Mendham Township. Most of the homes there are reportedly classic estates, historical homes, and farmhouses. 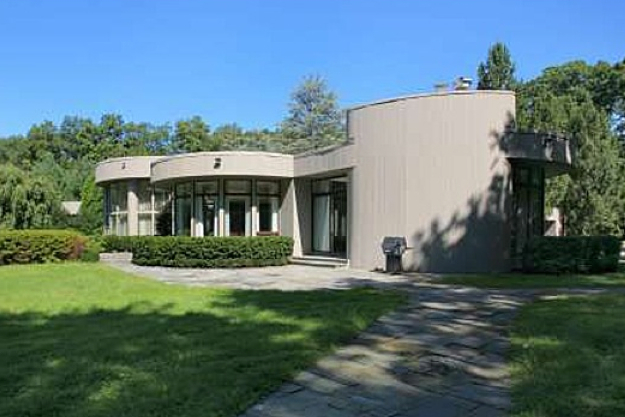 As a REALTOR®, I’ve seen modern homes sell very quickly when they are done exceptionally well or designed by a well-known architect such as Ralph Rapson. If they aren’t stunning, they can linger on the market due to feeling cold, having odd floor plans, having awkward and/or poorly proportioned rooms, etc. Unfortunately, the design has a helter-skelter aspect; It does not have the natural flow and orderliness of a rectangular or square house that would be beneficial. From a Feng Shui perspective, this home has a number of challenges due to what is known as “missing areas”. These “missing areas” symbolize missing areas of the bagua (a map placed over a floor plan and used in Feng Shui consultations), thus weakening these areas of life for the occupants. Anyone living in this home would benefit from making Feng Shui adjustments to either energetically or physically “fill in” the missing pieces. The layout of this house may well explain Whitney’s addiction issues and subsequent problems with finances, relationships, and the decline of her magnificent singing voice which could no longer produce the perfect pitch and beautiful tonality it once did. 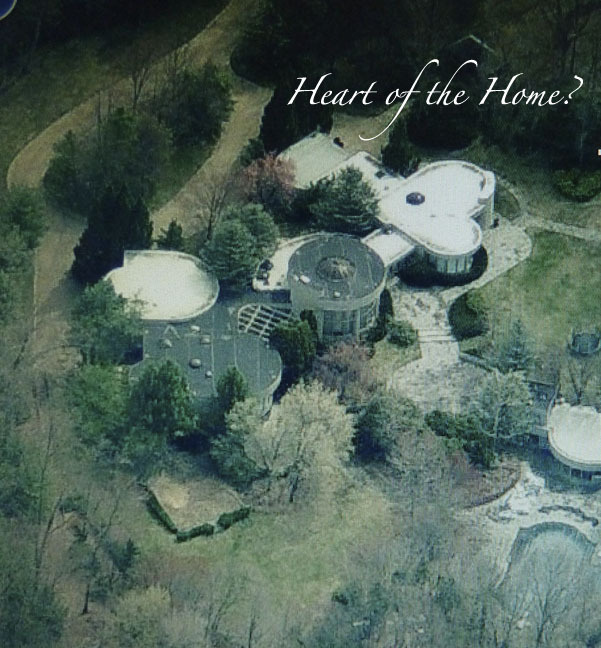 As I continued looking at the home from various angles, I noticed the heart-shaped portion of the house. It would be interesting to know what part of the house this occupies. 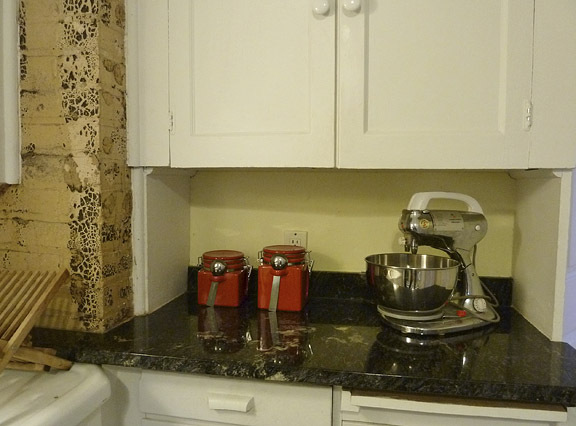 The kitchen (often referred to as the heart of the home)? The main bedroom? No matter. From all I’ve read and seen, Whitney had a heart as big as her voice. This property is sold and no longer available for showings. Detailed wrought iron fencing provides picturesque structure to yard. 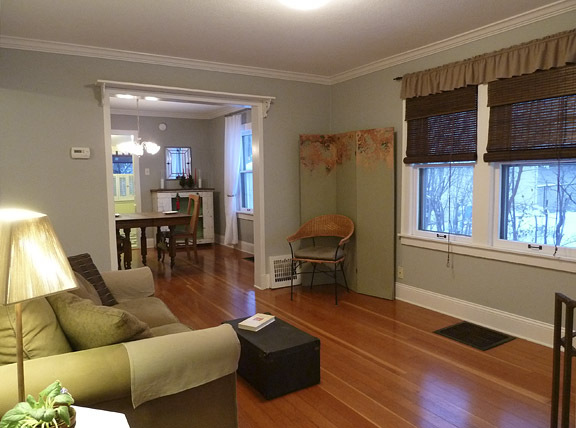 Living room with wood floor and crown molding. 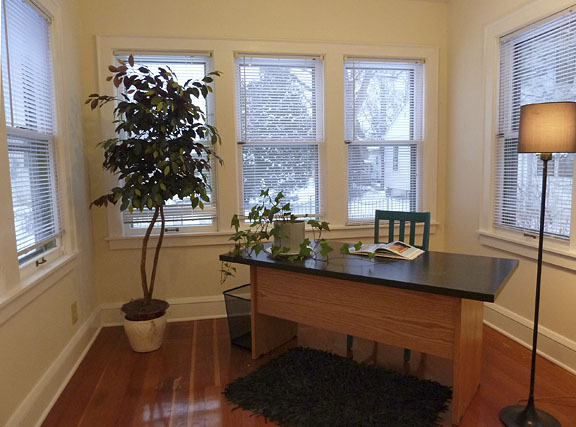 Sun room with windows on three sides. Use as an office, guest bedroom, or den. 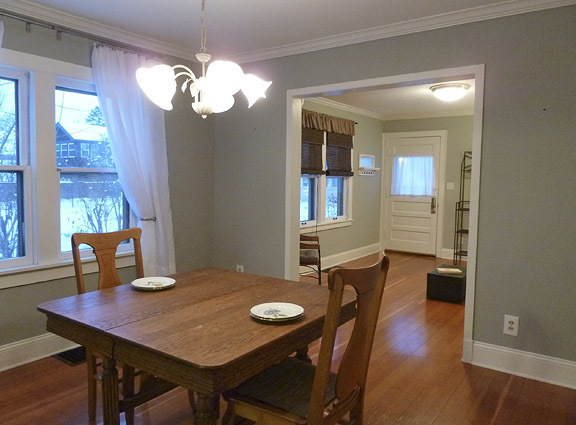 Formal dining room with two windows, wood floor, and crown molding. 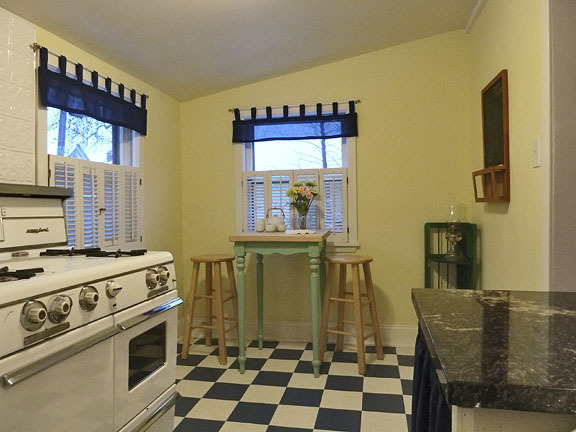 Kitchen has granite counter tops and checkerboard flooring. 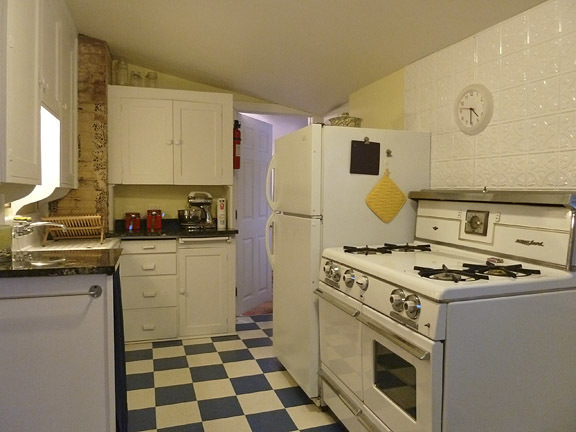 Exposed brick in one corner of the kitchen. Informal dining space in the kitchen. Note the two windows! 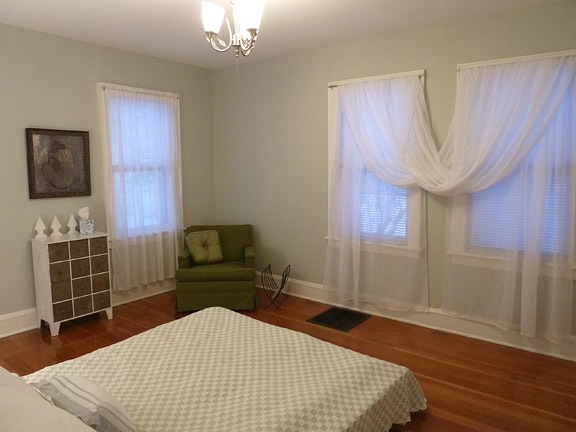 Large bedroom accommodates an upholstered chair. Note the three windows. 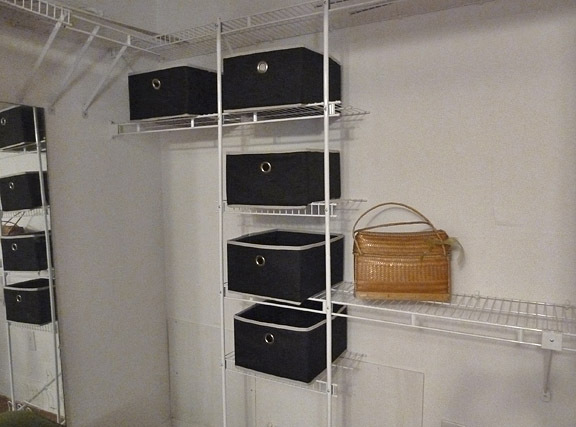 Very nice walk-in closet with organizers in main bedroom! Stained and leaded-glass architectural detailing in bath. 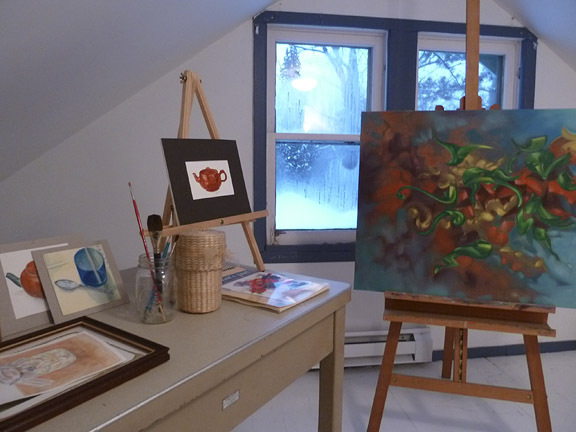 Upper level space is currently used as an art studio. 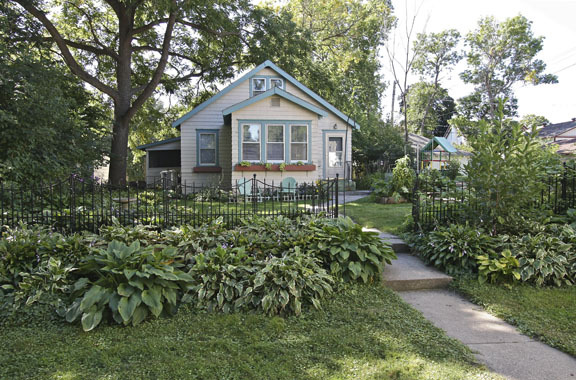 The front yard has perennials and raised beds for annuals. 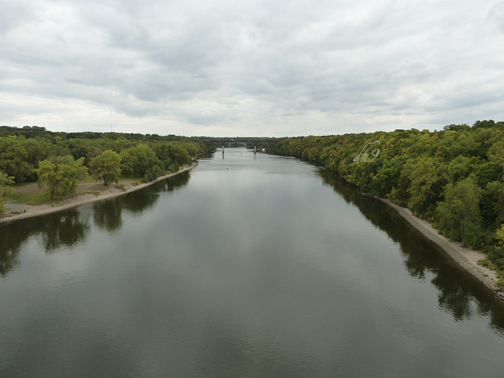 Close to the river and the walking/biking paths! This one-bedroom plus den home is a “not so big house” in terms of size but has plenty of style and charm! 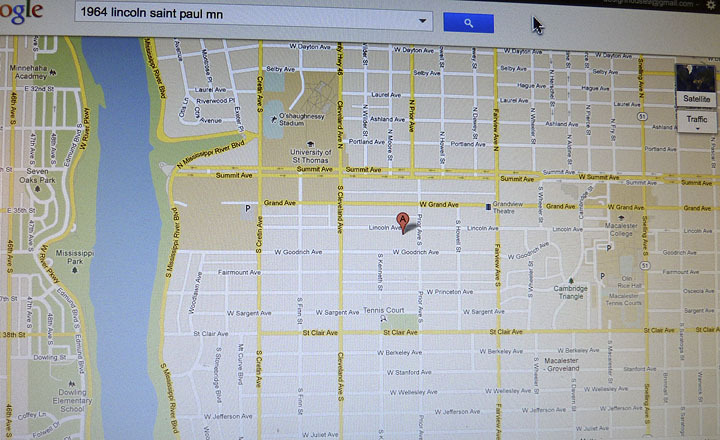 It’s located just a block from Grand Avenue and is within close proximity to three private colleges/universities. Other features include a screened porch, main floor laundry, a single garage, and central air conditioning. 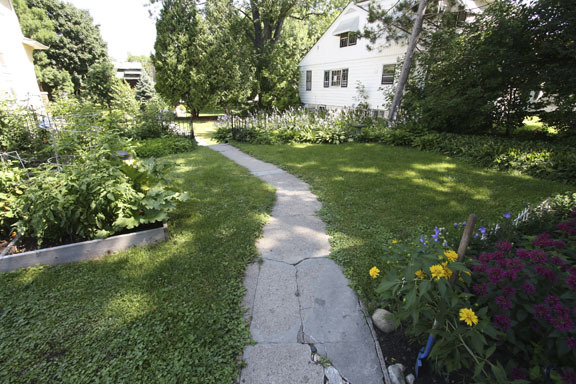 Read about the Macalester-Groveland neighborhood.